Dog Friendly pub by the sea. Come and meet my Lovely Labrador Honey! We’re a friendly, family-run Free House just north of Cheltenham in the beautiful Cotswold village of Alderton. 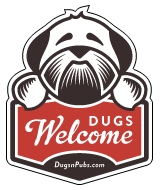 There are a total of 66 dog friendly listings in the South West Pubs category. Please log in, or sign up as a member to view all listings.